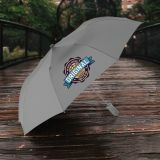 Explore New Promotional Possibilities With Custom Umbrellas! 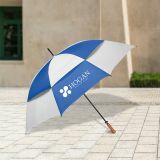 Do you know why prospects, customers or employees retain 81% of the promotional products offered to them? It is because they find them useful and appropriate. 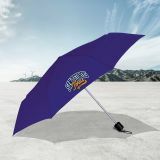 That is the reason why custom umbrellas can become your next promotional item. 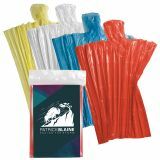 Your customers will be happy to know that you have chosen to keep them safe during summer and winters. 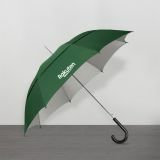 Logo printed umbrellas delivers big exposure to businesses. 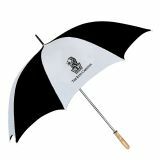 We bet you would rarely receive a promotional gift which is unisex, versatile and perfect for all situations. 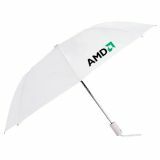 There is nothing worse than getting caught in unexpected showers or stepping out without ample protection on a sunny day, isn’t it? 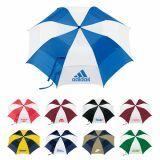 Allow your customers to stay happy on a sunny day and dry on a wet day by using any of these custom umbrellas covering their heads. 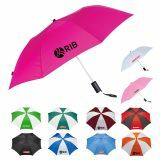 By using these high quality customized umbrellas for refuge from rains and sunshine, your customers are not only keeping their heads dry but also promoting your business. 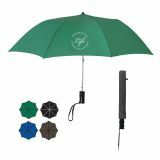 ProImprint offers a great selection of promotional umbrellas for all budget sizes. 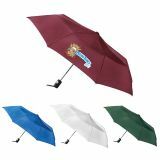 Selecting an appropriate promotional umbrella from a massive selection at ProImprint can be a daunting task. 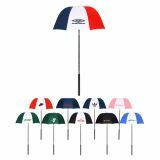 We have everything from folding umbrella to large sized beach umbrellas and golf umbrellas to vented umbrellas that vary in sizes and colors. 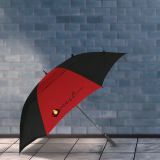 Whether you want to stick with professional black umbrella or spice it with floral prints or animal prints, the choice is entirely yours. 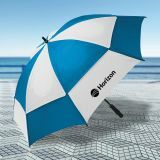 Whatever be your personal style, business requirement or budget, we have custom umbrellas which easily fit into the criteria. 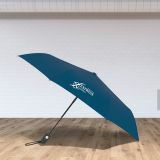 Personalized umbrellas are appreciated and used by everyone and this mean you are set to gain wide business exposure from this investment and your brand recognition will soar to new heights. 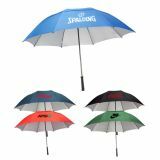 Regardless of your business type, imprinted umbrellas will keep your business logo or business name right above heads of your customers. 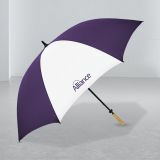 Just imagine the situation, you are walking down the street on a sunny day and seeing some people carrying umbrellas printed with your brand logo and discussing your business. 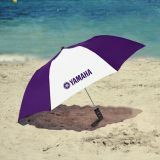 Perhaps there is nothing fulfilling than stirring a brand talk, isn’t it? 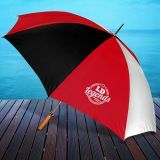 Gear up for a new phase in your branding by investing in these customized umbrellas from ProImprint. 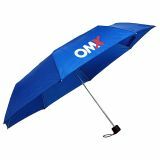 If you are not sure which type of umbrella work for your customer segment or which can carry your brand logo, feel free to converse with our promotional consultants who possess vast industrial knowledge. 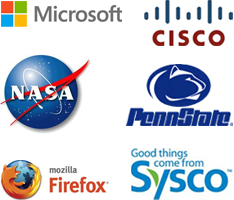 Call us at 844-776-4677 to skyrocket your brand . You can also write to us at info@proimprint.com.